It was the best of times, it was the worst; it was mind-blowing and inspiring, it was brutal and exhausting. I did Angkor Wat in one day. The Angkor Wat Archaeological Park lies roughly 6km from central Siem Reap, Cambodia, and stretches more than 400 square kilometres, encompassing the remains of numerous ancient Khmer temples as well as the largest pre-industrial city in the world. Lonely Planet warns against only spending one day here – most sane people do. No way, Jose. I’m a budget backpacker in Southeast Asia – I can live for several days on the amount of money it costs for admission alone, without factoring in transport costs. And so I opted for the $20 one-day pass – but not before first organising a $12US tuk-tuk tour for the day through the guest house I was staying at (it was much cheaper than what the drivers were selling their services for on the street). My fiancé and I were out of bed and dressed, waiting for our tuk-tuk before 5am. Of course, this was Southeast Asia so when our driver finally arrived we were running late. We zoomed through a deserted Siem Reap, past cyclists who were already out of breath, and arrived at Angkor Wat not 20 minutes before the sun was due to rise. Already exhausted, we said goodbye to our driver and made our way into the grounds, in awe of what we saw before us. 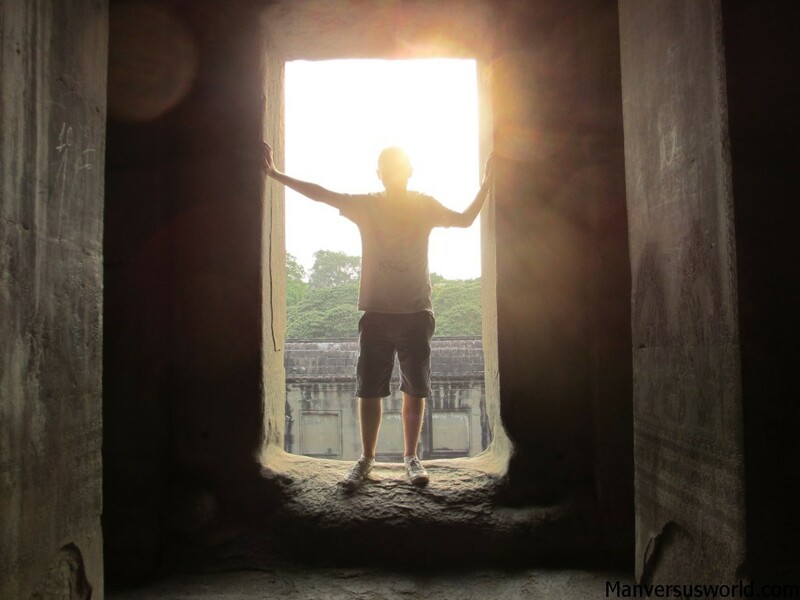 We’d seen pictures, of course, but Angkor Wat is so much grander in real life – even in relative darkness. The sunset was average on this particular day but well worth getting out of bed for. We took photo after photo beside the little lake outside the temple before heading over to one of the food stalls for a coffee. 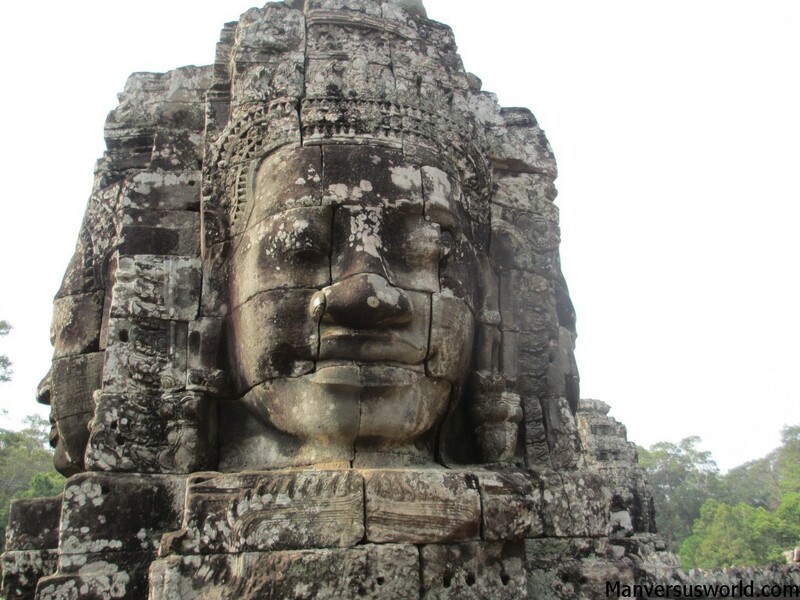 After pretending to be Indiana Jones the entire time I was at Angkor Wat, we next visited the ancient city of Angkor Thom and its wonderful temple of Bayon, where giant stone faces seemingly smirk at the hundreds of snap-happy tourists who visit each day. It’s my personal favourite of the temples of Angkor; as impressive as Angkor Wat undoubtedly is, the benign smiles of Bayon are what stayed with me long after I left. And that’s a good thing, because our next stop was far less thrilling. 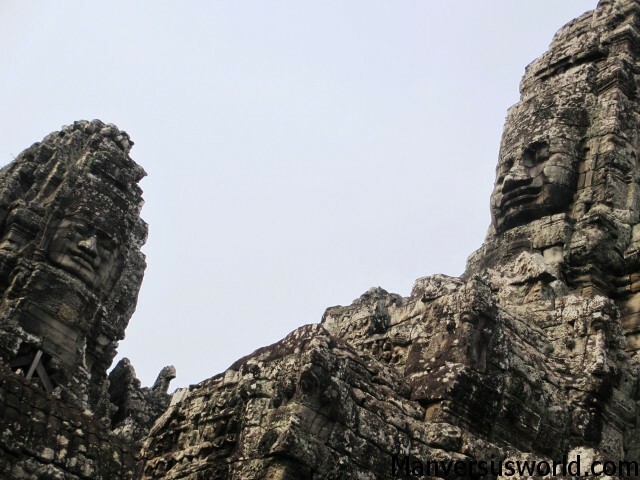 Northwest of Bayon is the remarkable but much less exciting Khmer temple of Baphuon. It’s a great temple – they all are mind-blowing in their own way – but I can’t help but feel like it’s overshadowed by its more famous neighbours. Either that or I was already feeling overwhelmed from visiting so many temples in a row. The truth is you can and probably will get “templed out” by trying to see so much in one day – especially as you’re not operating on a full night’s sleep and you start the day with the most famous temples in all of Cambodia. We visited countless other temples after Baphuon, the highlights being Banteay Kdei and Ta Phrom. The former is a sprawling mess of temples and rubble where we sat under the trees for an hour or so and read our books; the latter is like something out of a movie – probably because it has been featured in a number of movies. Ta Phrom is the temple that nature is in the process of reclaiming. 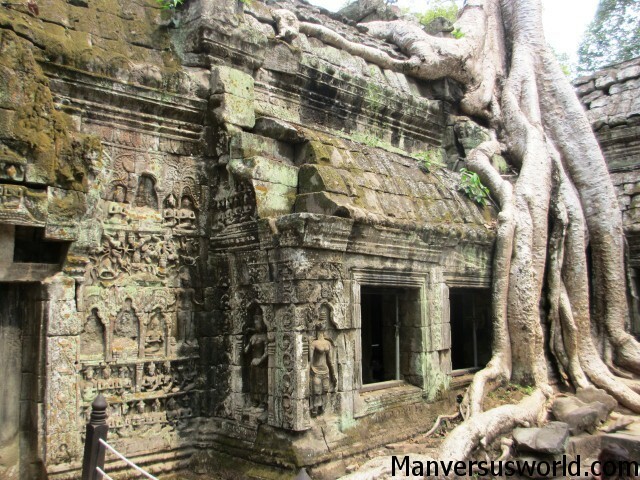 Giant trees and vines intertwine with stone, granting a glimpse into what it might have been like for the explorer who discovered these temples centuries after they were left to the ravages of time. Tomb Raider was filmed here – but don’t let that awful movie taint what’s one of the Angkor Archaeological Park’s best temples. 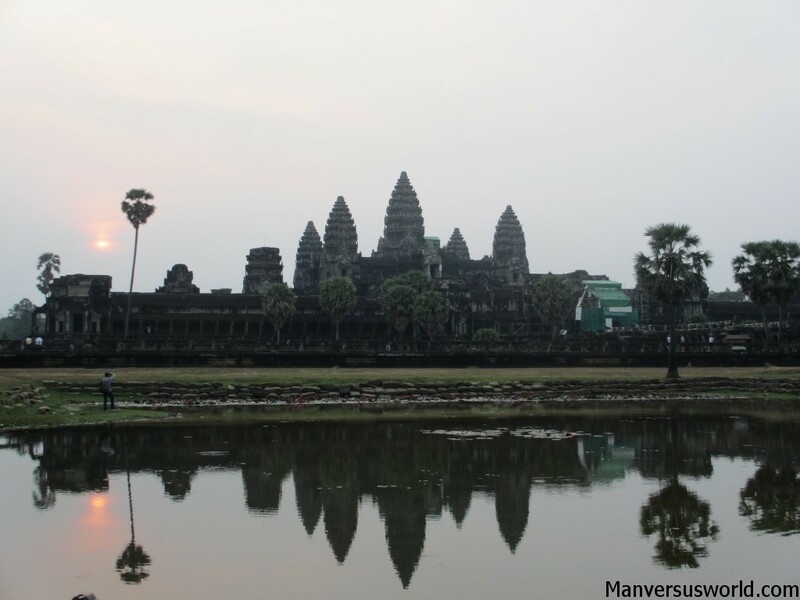 Can you see Angkor Wat in a day? Yes. Was it hard work? Certainly. Would I have liked more than one day to explore the park? Yes and no. Although I could easily have spent more time there, one day was definitely enough for me. It felt like an achievement. I went back to the hostel mentally and physically exhausted, eschewing seeing the sun setting over Angkor for an ice cold beer on Pub Street instead. It was an amazing day and I’m so lucky for being able to see so much in such a short amount of time. Remember there is a fairly strict dress code throughout Angkor Wat and the surrounding temples. Don’t wear a singlet/vest, short shorts or skirts. 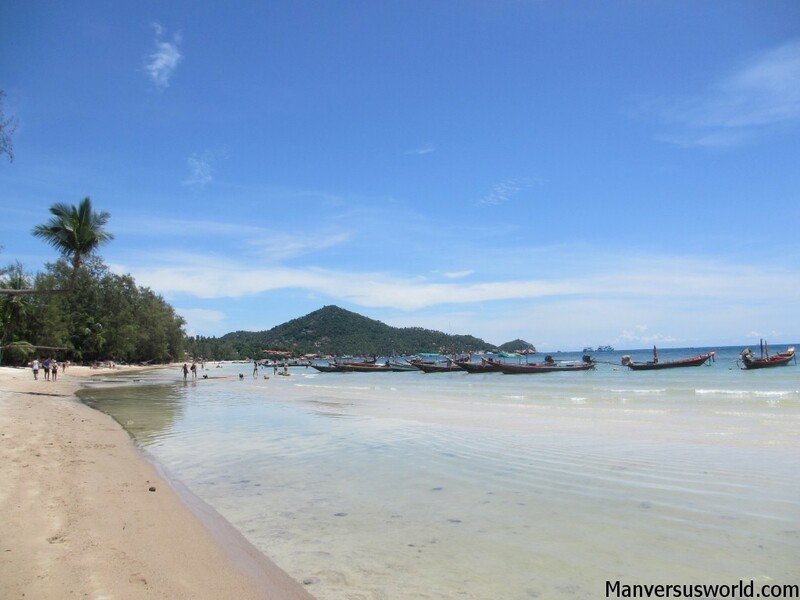 For more advice check out my other handy Cambodia travel tips. One day at any sight would be enough for us. It sounds like those endless European cathedrals. Eventually the awe is gone and you just want to find gelato. Couldn’t have said it any better myself. Some of my best memories of Italy, for example, were not of seeing the country’s many cathedrals but of eating copious amounts of gelato! Haha, I think you and I are a lot alike – I’m exactly the same! I can’t help but get very slightly irritated when I have to stop for someone else to take a bathroom break and Machu Picchu would probably be the place I’d most like to explore in the world! Thanks. It’s definitely not for everyone! For me it was good because I preferred to spend the money elsewhere on my travels through SE Asia. If I was only on a trip of Cambodia perhaps I would have spent more time at Angkor Wat. Thanks, Izy! We also did it in one day….on bikes! Talk about a bad decision! It was a lot of fun, but we were so exhausted. I definitely think you can see enough in one day, unless you are obsessed with old rocks. It’s very cool, but after hitting the highlights, you don’t need to see too much more. Ouch! I’ll bet you sweat a lot that day! But I’ll bet it was a lot of fun. I agree, unless you’re a wannabe archaeologist or something, the highlights are the highlights for a reason – you don’t need to see too much more after them. Thanks, Tom! I want to go back there myself now, especially after writing this post. 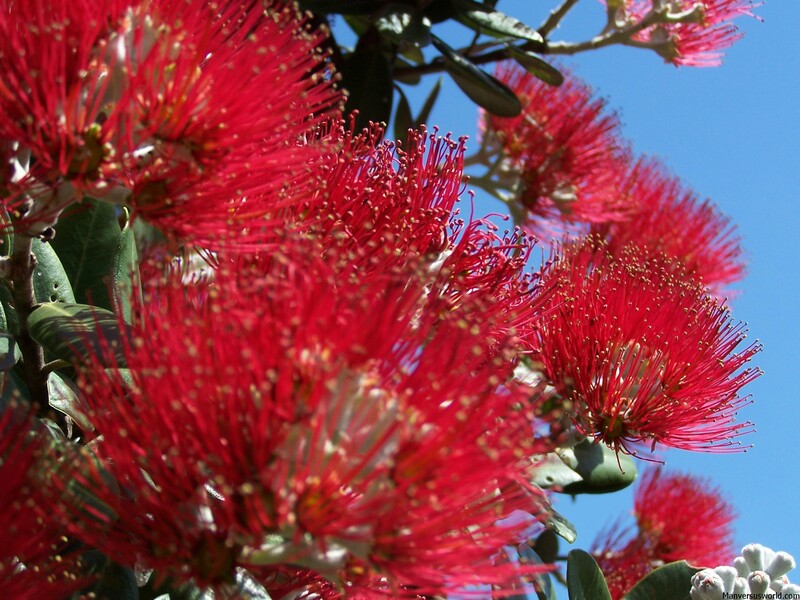 It’s brought back such great – but tiring – memories! What in the world is a Balboa bar?